Get involved and see the latest ways we are making a difference. Participate in our conferences, workshops and brown bag seminars. Explore the many ways we support learning and building a smarter community. Access our applied research and easily locate desired publications. 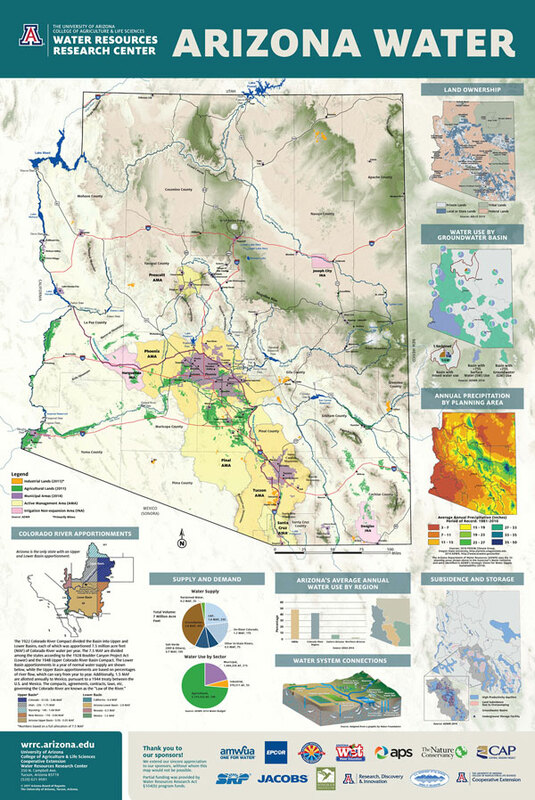 The Water Resources Research Center Arizona Water Map Poster is the latest in our series of reliable and concise visual representations of Arizona's water resources. This, the fourth edition of the map is the product of a design and review process that engaged stakeholders from across regions and sectors. The new map reflects the current state of water resources in Arizona, as well as a culture of management and planning unique to the state. 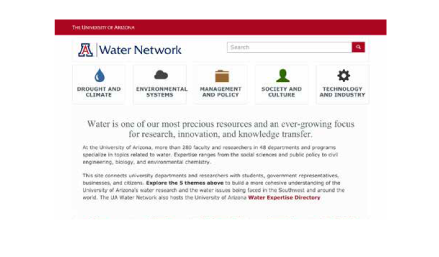 We transfer water research results and information to other researchers, water managers, policy makers, and the wider public through publications, conferences, lectures, seminars, and workshops. 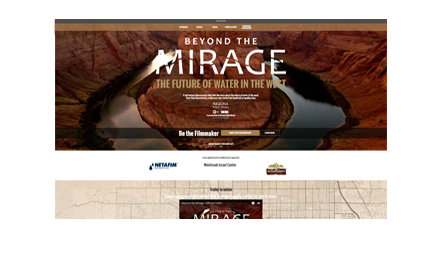 A full feature documentary that tells the story about the future of water in the west. From that documentary, make your own movie from hundreds of quality clips. 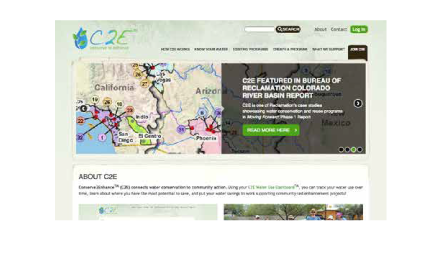 Get conservation tips, track water savings, and make your drops count! Connecting voluntary water conservation with community action. Water is one of our most precious resources and an ever-growing focus for research, innovation, and knowledge transfer. 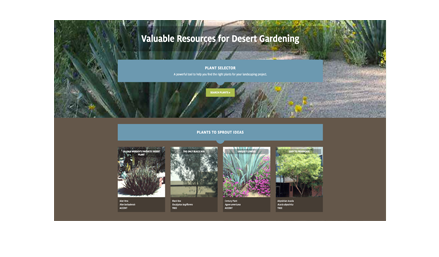 Cultivate your knowledge of desert landscaping with this valuable resource for desert gardening.